Was the GOP rising star a tax collector or tax litigation attorney? Jump to video Did Bachmann’s clinic try to ‘cure’ homosexuality? 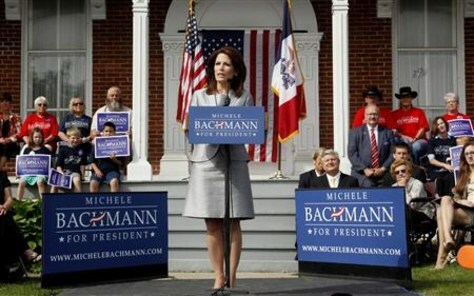 Rep. Michele Bachmann addresses a gathering of supporters to formally launch her campaign for the 2012 Republican presidential nomination, in Waterloo, Iowa, June 27, 2011.